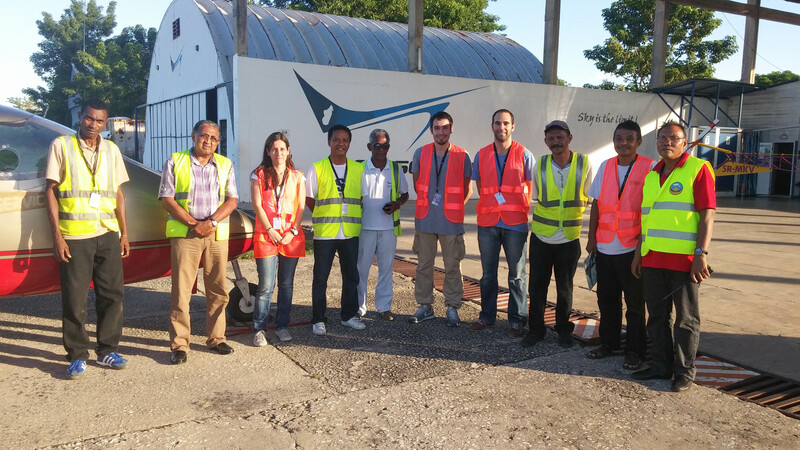 On March 2016, PildoLabs, in collaboration with ASECNA and Thales Alenia Space (TAS), and in cooperation with Amborovy Airport and the SkyServices operator, led the first SBAS flight campaign in Madagascar. Several approaches were performed down to LPV minima to Amborovy airport Runway 32. A Partenavia P68 from SkyServices was equipped with PildoLabs flight validation platform, PLATERO, to emulate the SBAS approaches to the airport and provide the pilots with SBAS-like horizontal and vertical deviations. TAS recorded on-ground data from previously installed SAGAIE stations in Amborovy and Toamasino airports, and generated SBAS Messages for Madagascar region. The combination of the flight data recorded by PildoLabs with PLATERO and the SBAS Messages generated by TAS, will allow the comparison between GPS vs. SBAS performances. The feedback from both the pilot and the ASECNA representatives in the airport was extremely positive, willing to have this technology available in their region as soon as possible. Thanks to GNSS, and in particular SBAS, the local operators will be able to fly IFR procedures, increasing the safety and their number of operations. The activity is framed within the SBAS Africa programme, funded by the UK Space Agency, where an end-to-end SBAS test-bed has been deployed to demonstrate the benefits of implementing SBAS capabilities in Southern and Eastern Africa. The programme is led by Avanti Communications, and counts with the support of the South African Space Agency (SANSA).